Delegation of the Romanian Court of Accounts, headed by its President Mihai Busuioc, is visiting Poland to discuss audit methodology and practices applied by NIK. Both institutions signed a cooperation agreement – to organise joint trainings for employees and conduct consultations on selected audits, as well as to exchange best state audit related practices. Participants of the meeting also discussed the audit ranking in force at NIK - used to assure audit quality, and IT tools used to support audits. In early May President of NIK will attend a conference organised by the Romanian Court of Accounts in relation to Romania’s EU Presidency. Krzysztof Kwiatkowski will present the advisory role of the Supreme Audit Institutions and the resulting benefits for citizens. After the meeting in Warsaw the guests will visit the Regional Branch of NIK in Łódź to discuss the operation of NIK regional offices and the most important audits conducted by the Regional Branch in Łódź. 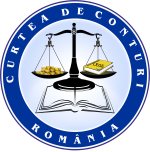 The current Romanian Court of Accounts was established in 1992. The Court audits establishment, management and use of state and public sector financial resources. The SAI submits annual reports on the national public budget management, also identifying the irregularities found, to the Romanian Parliament. Audits may be carried out upon request of the Chamber of Deputies or the Senate. In keeping with the law, the litigations resulting from the activity of the Court of Accounts shall be settled by specialized courts. The Audit Authority also examines the utilization of pre-accession funds granted to Romania by the European Union, through PHARE, ISPA and SAPARD programs, for the structural and cohesion funds, for the European Agricultural Guarantee Fund, for the Fishery European Fund, as well as for the funds to be granted in the post-accession period. The management of the Court of Accounts is enforced by the Plenum of the Court of Accounts, comprising 18 Members, including the President and two Vice-Presidents. The Counselors of Accounts are appointed by the Parliament for a nine-year term of office. The structure of the Court of Accounts comprises departments, county and Bucharest Municipality Chambers of Accounts and a General Secretariat. The Court is a member of two international working groups headed by NIK: INTOSAI Subcommittee on Internal Control Standards and EUROSAI IT Working Group. It also participates in several other groups of both INTOSAI, EUROSAI and the Contact Committee.